Dennis Song is a Lead Advisor with Heritage. As an Advisor, Dennis is responsible for the coordination of investment management, financial planning and tax services for clients. Dennis is a member of the Heritage Investment Policy Committee and works with the investment team on managing client portfolios and research. Dennis was most recently a Director of Investor Relations with Altria in Richmond, Virginia. Before moving to Richmond, Dennis was a Director of Investor Relations and Strategy at BlackRock in New York City. 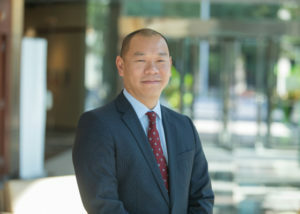 Prior to his time in the Investors Relations space, Dennis spent over nine years as an equity analyst in the fund industry analyzing and selecting equity securities across a variety of industries. Dennis started his career as an investment banking analyst at Bear Stearns and as a private equity associate with JP Morgan Partners. Dennis earned his BBA in Accounting and Finance from Southern Methodist University in Dallas, Texas and his MBA in Finance from Northwestern University’s Kellogg School of Management in Evanston, Illinois.